We select Icelandic data centre to study geographically distributed HPC bioinformatics platforms to reduce costs and help promote a sustainable bioeconomy through renewable energy-efficiency. 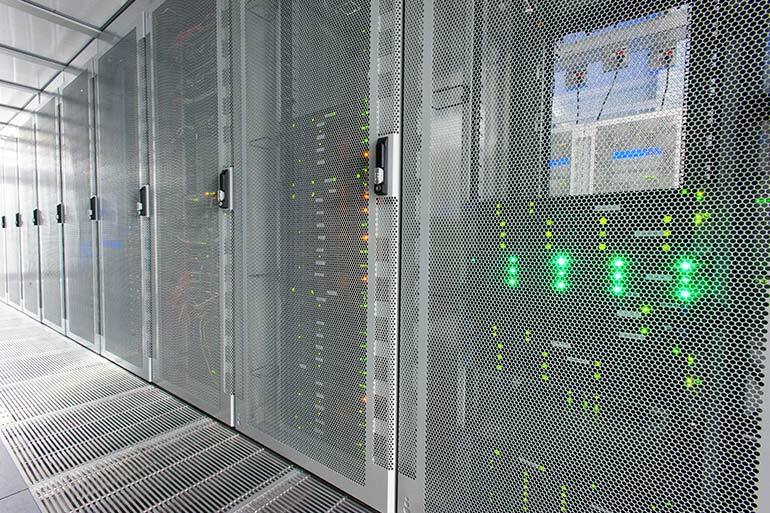 The Earlham Institute (EI) has announced its new partnership with Verne Global, a global-based developer at the forefront of data centre infrastructure design. EI has selected Verne Global’s data centre campus in Iceland to investigate the efficiencies of distributing large-scale genomics and computational biology data analysis. The research institute is renowned for its contribution to the analysis and data-sharing of the highly complex wheat genome that is critical to securing future global food supplies. In this project, a first for a UK academic institution, EI will examine the benefits of migrating a strategic collaborative bioinformatics analysis platform to Iceland via existing academic network providers JANET and NORDUnet. EI, through Verne Global, will have access to one of the world’s most reliable power grids producing 100% geothermal and hydroelectric renewable energy. As EI’s HPC analysis requirements continue to grow, Verne Global will enable the institute to save up to 70% in energy costs (based on 14p to 4p KWH rate) and with no additional power for cooling, significantly benefiting the organisation in their advanced genomics and bioinformatics research of living systems. As a leader in the Life Sciences HPC community, EI aims to better understand complex scientific issues and their impact to society by categorising, processing, and analysing the DNA of various crops, animals, insects and microbes. This includes their flagship project, bread wheat, which is one of the most perplexing genomes to study, with a genome sequence five times bigger and more complex than the human genome. One of EI’s primary goals is to understand crop genomes so new varieties can be developed to secure food supply in the face of a growing population and environmental change. The cutting-edge high-throughput DNA sequencing instruments generate large amounts of data, from a few hundred gigabytes to several terabytes per run. The output requires significant computational effort making the storage, processing, analysis and sharing of the data extremely challenging. “Modern bioinformatics is driven by the generation of ever increasing volumes of genomic data requiring large and collaborative computing resources to help process it quickly and at scale. At EI, we have some of the largest computational platforms for the Life Sciences in Europe and the demand for our computing capability is only increasing, putting pressure on the capacity and operational costs of our existing data centres,” said Dr Tim Stitt, Head of Scientific Computing at EI. “We are, therefore, very excited to be partnering with Verne Global in Iceland, who not only can supply medium and high power computing density at significantly lower energy costs but who can also deliver excellent global network communications and data centre security,” said Stitt. “We are planning to publish a paper on our study, and I hope the impact of our collaboration with Verne Global will be the catalyst for many more academic institutions in the UK and Europe to consider migrating their computing infrastructures to Iceland and benefit from one of the world’s most reliable and cost-effective green energy resources. I’m very proud that EI is at the forefront of this shift,” Stitt concluded. “As more organisations turn to high-performance computing to process large data sets, demand is growing for scalable and secure data centre solutions. The source, availability and reliability of the power grid infrastructure is becoming a critical factor in a data centre site selection decision,” said Jeff Monroe, CEO at Verne Global. “Verne Global is able to deliver EI a forward-thinking path for growth with a solution that combines unparalleled costs savings with operational efficiencies to support their data-intensive research,” explained Monroe. The Earlham Institute (EI) is a world-leading research institute focusing on the development of genomics and computational biology. EI is based within the Norwich Research Park and is one of eight institutes that receive strategic funding from Biotechnology and Biological Science Research Council (BBSRC) - £6.45M in 2015/2016 - as well as support from other research funders. EI operates a National Capability to promote the application of genomics and bioinformatics to advance bioscience research and innovation. EI offers a state of the art DNA sequencing facility, unique by its operation of multiple complementary technologies for data generation. The Institute is a UK hub for innovative bioinformatics through research, analysis and interpretation of multiple, complex data sets. It hosts one of the largest computing hardware facilities dedicated to life science research in Europe. It is also actively involved in developing novel platforms to provide access to computational tools and processing capacity for multiple academic and industrial users and promoting applications of computational Bioscience. Additionally, the Institute offers a training programme through courses and workshops, and an outreach programme targeting key stakeholders, and wider public audiences through dialogue and science communication activities.